Hello, my name is Jeffrey Branover. I’m a Strategic Marketing Consultant based in Los Angeles, and I specialize in Search Engine Optimization (SEO). Having your website on the front page of Google, Yahoo, Bing, and other search engines is one of the most imperative elements in getting your site to the top. By integrating a proven SEO strategy, your business’ web page will increase its overall ranking on the World Wide Web. This will create more solid leads for your business, thereby increasing new clients and revenues. SEO Services allow businesses to promote and increase their visibility, products, and services on the Internet. Whether you’re a law firm, plumber, coffee shop, utilizing SEO will target potential clients and increase business sales. The success of SEO services and Internet marketing is to gather data to properly gauge your website in achieving your goal of having relevant people visit your site. As your SEO Services Consultant, I’m able to easily discern the proven methods to integrate a successful system. I will provide the best and most effective way to market your business in targeting quality leads. In addition to SEO services, I consult on other viable Internet marketing strategies to best suit your needs, particularly in social media and pay per click campaigns. Free 1 hour consultation. One of the best Internet marketing services in Los Angles. Hire him for Lead Generation. I realized I hired the best in SEO services when my search rankings improved and was getting a lot more leads. He's smart and extremely knowledgeable about SEO. Probably the best SEO expert in LA. Jeff is my favorite digital marketing expert. He's the best and knows his SEO and Social Media. He's smart and understands what it takes to achieve favorable results. Extremely happy with the results. Jeffrey is an digital marketing expert! 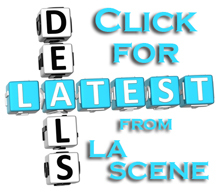 From all the Internet Marketing experts in L.A. I'm most pleased with working with Jeffrey. He's ahead of the curve with digital trends and knows how to execute. My team is beyond happy with the results Jeffrey was able to deliver. He is The Best Digital Marketer in Los Angeles!! and he's very nice. I used Jeff's services for lead generation and web development. He built up a great looking website that's optimized for keywords relevant to my business. I got ranked in as little as 3 months and my SEO is still dominating. I'm extremely happy with my results. He exceeded my expectation and I recommend his consulting. He's definetly one of the best SEO in Los Angeles. I was referred to Jeffrey by a close friend of mine who had worked with Jeffrey for his website's search engine marketing. Now that I'm running my own business, I rely on lead generation, and I realized it would be important to SEO Services for my business. It's been 7 months since hiring Jeffrey to run our SEO campaign and I am very thankful for all the hard work Jeffrey has done for me. I had many questions regarding SEO, Social Media marketing, AdWords, and web development. All my questions were answered directly from Jeffrey and I learned a lot of valuable points regarding SEO for effective results that is really saving me money in the long run. Jeffrey's SEO Services proved to me how important it is to seek out a professional that's passionate about search engine optimization. He's genuinely kind and offers a regular follow up in-persona and over the phone. He's definitely doing a wonderful job with my SEO marketing. I can't thank Jeffrey enough for helping me get ranked on Google. Where do I begin with Jeff's SEO Services?! He answered all my questions regarding SEO and explained a few points regarding SEO in 2016. He's very patient, smart, and efficient with his services. He's doing an amazing job with my website's ranking on Google's search engine. I'm currently ranking for 5 keywords and my sales has increased a lot over the last 5 months. I am glad I chose Jeff to run my SEO. Thank you Jeff for everything. Totally worth it! 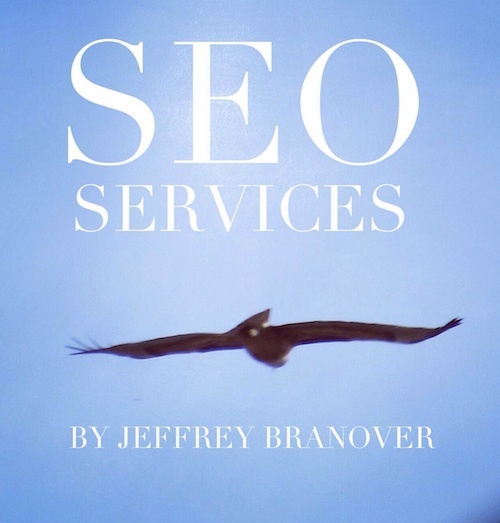 Talk about amazing SEO Services from Jeffrey Branover! I'm very impressed with his skills and expertise in digital marketing and local advertising. 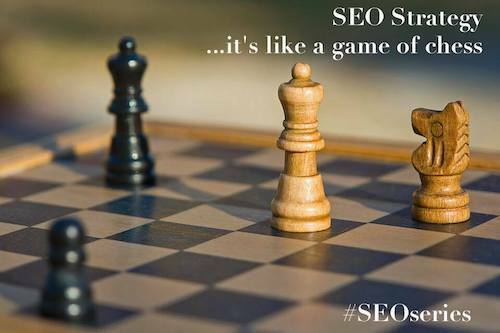 He understands SEO so well and explaines his process in a easy to understand way. Using an SEO expert like Jeffrey has been a wonderful business experience. I recently hired Jeffrey to run an SEO Services campaign to target keywords in the Santa Monica area. I interviewed a few SEO specialists and felt that Jeffrey was somebody I can trust to deliver results. We discussed a few Internet marketing strategies and began working on it right away. I started to get results immediately. We used a combination of organic search engine optimization strategies and AdWords. He was very helpful with setting everything up for me and putting together a financial budget to get the most bang out of my hard earned dollars. I was initially worried about SEO Services and the expenses it can have on my overall marketing budget. Jeffrey kindly explained to me his method for ranking keywords and was very patient with my concerns. He's affordable and the SEO pays for itself with sales. He answered all my questions and keeps in touch with me regularly. Luckily I found Jeffrey and his work has been very effective in sales. I am so grateful for the awesome SEO Services Jeffrey offers. I am definitely recommending his services to anyone that's in need of Internet marketing. There is a reason all of his reviews are 5 stars..he's great! So I hired Jeffrey because I couldn't find an SEO company that brought me real results. My business is located in Beverly Hills and needed visibility within a 10 mile radius on Google's search engine. It was important for me to be ranked locally as well as organically. I found Jeffrey on Google when I searched SEO Services Beverly Hills and saw his webpage on the front page. I decided to give him an opportunity and we've been working together for about 14 months. His approach is unique and different compared to the other SEO companies I worked with. Within 3 months I started to see my website on Google's front page on their local maps and organic listing. I'm currently ranked for 11 keywords which have improved my sales by about 50 percent. I highly recommend Jeffrey for all your SEO needs. He got me results when no one else could. He's hard working, smart, and committed. Thanks for ranking my site Jeffrey! Keep up the great work! I needed a website for the purpose of getting more business. I needed leads and so I started to learn about Search Engine Optimization and Social Media Marketing. I was working so much and not seeing any progress. I called Jeffrey because of his front page listing for SEO Services (in Los Angeles). I felt so conifident with his approach to SEO and lead generation / acquisition. He has a unique approach to ranking and becoming more visible, and it works. I hired him on the first call and been working with him for almost 5 months. I'm grateful to have hired him to run my SEO Services. My business website was no where to be found on Google. I needed an SEO Services consultant to help rank my site. I interviewed a few SEO specialists and went with Jeff because of how he explained his process of ranking my site / business for keywords on an ongoing basis. I finally found an Internet Marketing Specialist I can trust. He puts his clients first and treats my website and SEO as his own. I appreciate all his hard work and commitment. I've hired him 4 months ago and I'm ranking for 7 highly competitive keywords for my business. Calls and sales increased a lot!!! Thanks Jeff for all your hard work. Why should you choose Jeffrey Branover to run your SEO Services campaign - He get's results and tells it like it is. I couldn't be more satisfied with the results and leads I'm been getting after hiring Jeffrey to run my SEO. My success is depenedent on having a solid presence on Google's local pack. I've hire many SEO companies prior to working with Jeffrey and I never got the results I've been asking for. All I heard where excuses such as poor backlinks, too much competition, or it just takes longer to rank organically. Jeffrey explained important details to properly rank sites. I gave him a chance and I'm super happy with the results. My business relies on being found conveniently on the local pack in cities in L.A. such as in Santa Monica, Marina Del Rey, Brentwood, Beverly Hills, West Hollywood, and the Miracle Mile area. My leads increased by about 60% and business has been great. I highly recomend the SEO Services that Jeffrey offers. The SEO Services offered by Jeff have been great. My website was between the 4th and 5th page on Google and within as little as one month, he was able to get my site on the top of Google organically and locally. 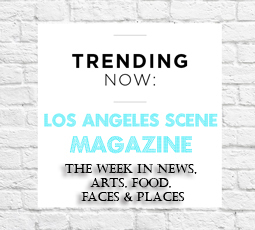 My business is based in Los Angeles and needed to rank in towns and cities. I recommend Jeff to anyone who needs local visibility. He really knows his stuff and gets results. Jeffrey Branover did an amazing job helping me build my blog. He did all of the SEO needed to help my ranking get much higher. In addition, my blog went from nearly one thousand hits to over 20,000 within a mere few months. As well, he did an incredible job in our photo shoots leaving me with amazing pictures and I can't tell you how happy I am with them. I'd love to help spread the word and share this, because we all know how hard it is to find a good photographer. His photos are beyond devine. It's so convenient to have an SEO Specialist and a great photographer in the same person. So happy with his work. A definite five stars!